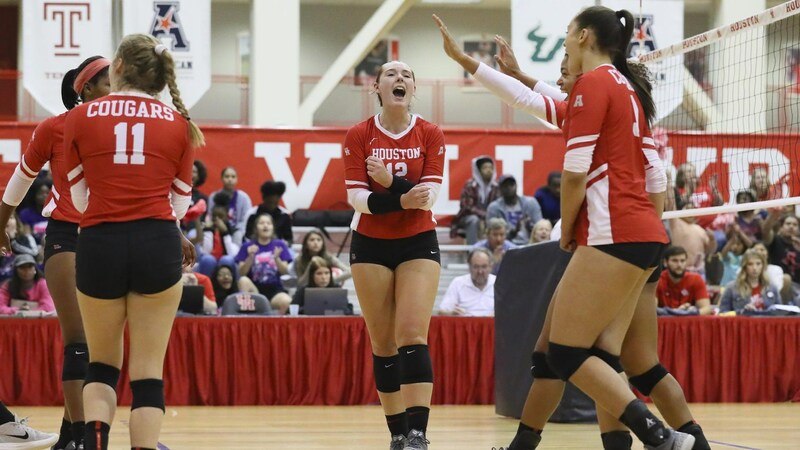 While the Cougars are looking to complete the season sweep over the Shockers, Houston is seeking revenge over the Golden Hurricane from its match with them earlier in the year. Friday, Nov. 9 | 7 p.m.
Charles Koch Arena | Wichita, Kan.
Reynolds Center | Tulsa, Okla.
Our volleyball team loves playing Wichita State. * There were 30 ties and eight lead changes in the contest. * Houston is 10-0 on the year when leading 2-0 in a match. * Houston has won six of the last seven sets against Wichita State. * The Cougars are now 4-3 all-time against the Shockers. * Friday’s match marked the 11th time this season at least three Cougars recorded 10 or more digs in the same contest. * The Cougars had multiple players post double-doubles in the same match for the ninth time. At least one Houston player has recorded a double-double in 15 of the past 17 matches. * Junior outside hitter Megan Duncan tallied her team-high 11th double-double of the season, finishing Friday night with a match-high 15 kills to go along with 16 digs. * Senior setter Katie Krebs finished the match with 15 assists and 10 digs, her sixth double-double of the season. * With her match-high 30 helpers, sophomore setter Abby Irvine recorded her sixth 30-assist match of the season. 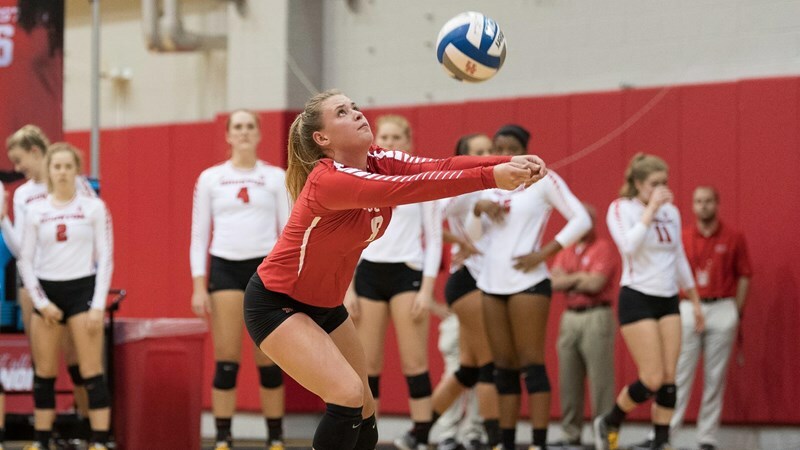 * Redshirt sophomore defensive specialist Kylie Napoleon dug out a season-high 10 balls. * Leading the conference in service aces per set, Houston showed its strength at the service line today with four aces. Redshirt freshman defensive specialist Kylie Napoleon led the team with a pair. * Junior libero Katie Karbo recorded a match-high 21 digs on the afternoon, the 18th time this season she’s led the match in digs. * Freshman outside hitter Alexis Cheatum led the Cougars with a match-high 11 kills. It’s the third occasion this year she’s led the team in kills. 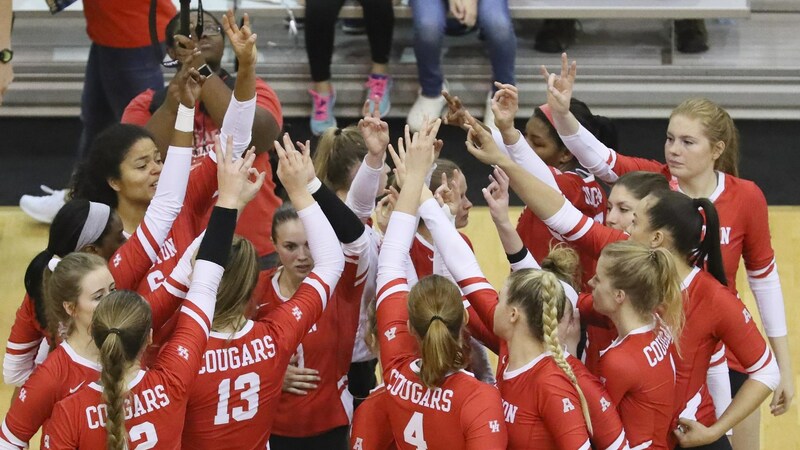 * Both of Houston’s middle blockers, senior Chenelle Walker and freshman Kendall Haywood, led the Cougars with three blocks each.